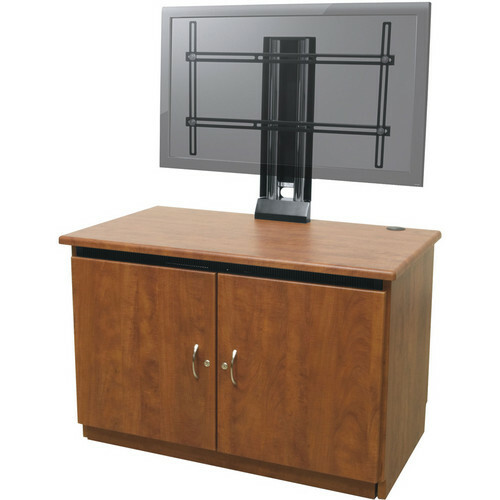 The Middle Atlantic Contemporary Finishing Kit with Monitor Mount (Darkstone Finish) allows you to easily integrate and assemble the C5 Credenza Racks. Featuring smoked plexiglass doors, this easy-to-install contemporary style kit offers clean lines and a smooth finish to render a sleek appearance to your credenza rack. You can use the finishing kit for integrating the 120V and 220V Credenza frames. Also included in the kit is a VESA-compliant large format monitor mount for holding screens ranging from 32 to 50". Note: The frame must also be ordered along with the finishing kit.